Group travel during the seminar, from pickup to drop-off at the airport, is provided by IdealViaggi, which means "ideal trip" in Italian. Their safe, courteous drivers and comfortable, modern fleet of buses and vans are a perfect reflection of the company's name. 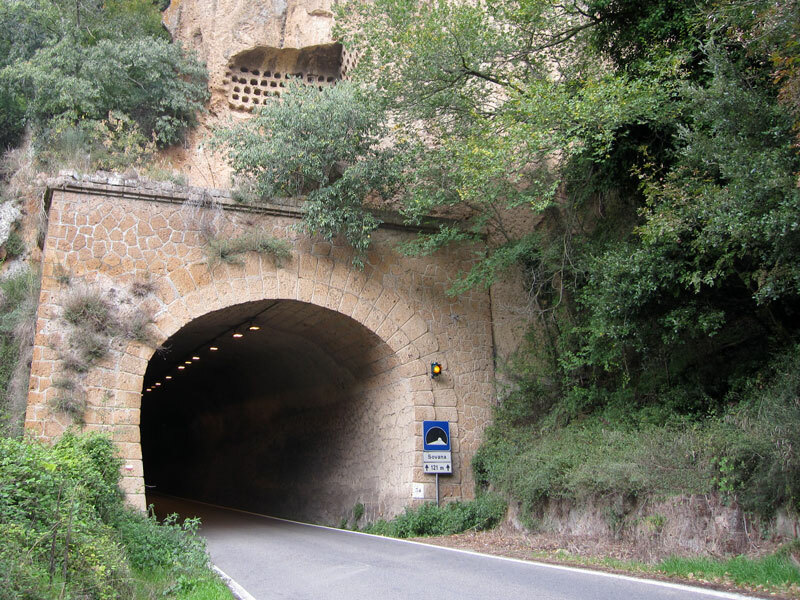 Travel time between Rome's Fiumicino Airport (FCO) and Sovana is approximately 2 1/2 hours. Enjoy the scenic countryside and a stop for refreshments along the way to and from the seminar site. There is no train station in Sovana, the nearest station is 1 hour away, so we suggest either joining the group on the bus or renting a car. The bus will leave Fiumicino Airport to go to Sovana at 1:30 p.m. on Thursday, April 16, 2020. The bus will leave Sovana to go to Fiumicino Airport at 09:00 a.m. on Thursday, April 23, 2020. We will arrive at Rome airport by about 12:00 p.m. If you are planning on using our bus transportation to Sovana, you will want to plan your departure so you arrive in Rome’s Fiumicino Airport by 12 noon on Thursday, April 16. Many participants choose to arrive in Rome the day prior (April 15) and spend the night in Rome or near the airport in the town of Fiumicino. We recommend that you plan to stay the night of Thursday, April 23, because most flights to the U.S. leave very early in the morning. If you stay near the airport, most hotels have shuttles to the airport. We want you to have a stress-free departure from Sovana. You will get to Fiumicino around 12:00 p.m. on Thursday, April 23, which will give you sufficient time to take the train into the center of Rome, where you can enjoy an afternoon and evening. The Airport Hilton (not the Garden Inn) has sky bridge access directly to the airport.